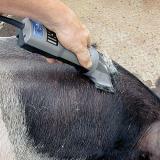 For clipping show pigs and goats. Also leaves a smooth, high-fiber finish on cattle and sheep for production sales. Has a cutting depth of 0.25". You can print up to 4 lines on bottom blades. Please tell us exactly what you would like imprinted on them. We charge for $1.00 each set imprinted. 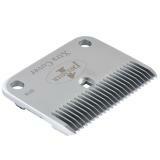 If you would like your blades imprinted, you must choose item #868600 (enter this item # in our Catalog Quick Order). 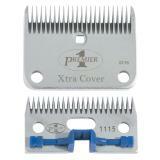 Premier offers a resharpening service for all combs, cutters & blades. Use item #868800 for resharpening cutters. Our offer—exchange a used, dull or rusted Lister® blade set for a new Premier blade set for only $30 (plus shipping). You save $17! How do you save $17 a set? You save $10 off a new blade set from Premier (they retail for $40) plus the $7 resharpening fee on the used blades. Must it be an exact upgrade? Fine blades for fine blades? No. Any Lister® blade may be exchanged for any Premier Surgical, Fine, Medium or Coarse blade in any combination (i.e. a Premier Fine for a Lister Medium). Note: Super Surgical and XtraCover blade sets can be included in the offer. Super Surgicals will be $40 and XtraCovers will be $32. Because they are the only blades that interchange (fit the same machines) with Premier blades. Note: We will not ship these new blades until we receive your old Lister set(s). Reshipping cost still applies. How to attach clipper blades onto your clipping machine. Remove the tension bolt assembly. Fit the blades on to the clipper head. The top blade will fit into the groove of the clipper head. 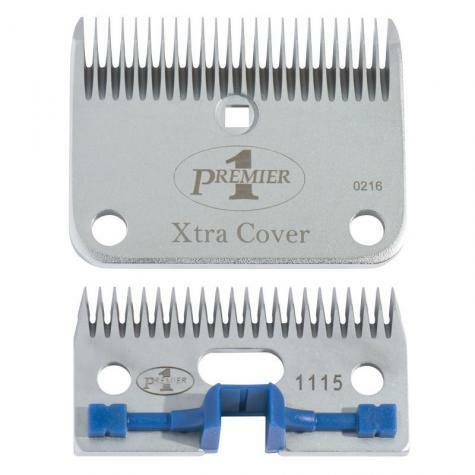 The bottom blade should be placed over the comb pegs with the Premier logo visible. Screw the tension nut down hand-tight. Turn the tension nut back two turns. Oil the blades. Apply a few drops of oil at least every 3 min. to prolong blade sharpness and reduce friction and heating. Also apply a few drops to the hole labeled "oil" every 10 - 15 minutes. This oils the round bushing that drives the top blade back and forth. The extra cover blades worked great for slicking off cattle in the spring and still leaving a good base to work from. BEST by far clipper blades we have found yet. We have tried many and none compare to these. Perfect for market goat clipping. Worked great for my first time clipping meat goats. 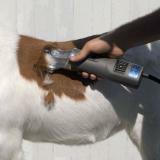 love these blades..perfect for show cattle faces and necks as it doesn't shave to close. reasonably priced too.They are also great for clipping lambs the first time as they are not too tight..helps against mosquitos and other biting insects.